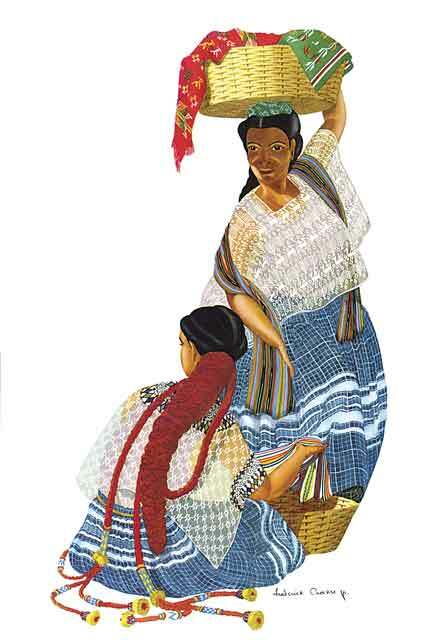 If you lived in La Antigua Guatemala after World War II and before 1972 you would have known Pat Crocker for his work in the restoration of colonial houses and for his exquisite watercolor paintings of Indian costume. Frederick Siddartha Crocker Junior, or as he would sometimes introduce himself “Frederick, ‘The Enlightened One,’Crocker,” was born in Folsom, West Virginia, in 1914. His mother, Hazel McBride Crocker got a nickname of “Penny;” Pat got his as an infant from his Irish nurse. He graduated from the Carnegie Institute of Technology, Pittsburgh, in fine arts in the early 1930s. Then he and a friend went to the Philippines, where he worked for an architectural firm in Manila. After three years he returned to the U.S. and set off with his mother for a round-the-world cruise. The ship broke down in the Pacific and they ended up in Mexico, where they lived in Cuernavaca and Taxco. In Taxco Pat became friendly with Bill Spratling of Spratling Artesanias S.A., who introduced the designing of silver and copper jewelery. Another friend was Bud Schlumberg, a screenwriter for Paramount and author of the screenplay Little Orphan Annie in 1938. In 1940 he and his mother came to Guatemala, where Penny became a teacher at the American School and Pat started his costume paintings. He was encouraged to record indigenous textiles by an Americanlady with the surprising name of Tocsika Townley Roach. She and her husband, Jim, had resided in Guatemala since 1917. Her avocation was the collection of Indian textiles, and she opened the first textile shop in the city. She was concerned even in those days that Indian costume was slowly disappearing, and she collected some of the finest examples during her purchasing trips— many on foot to remote villages. Her collection was purchased eventually by the United Fruit Company and given to the Archeology Museum in Guatemala City. 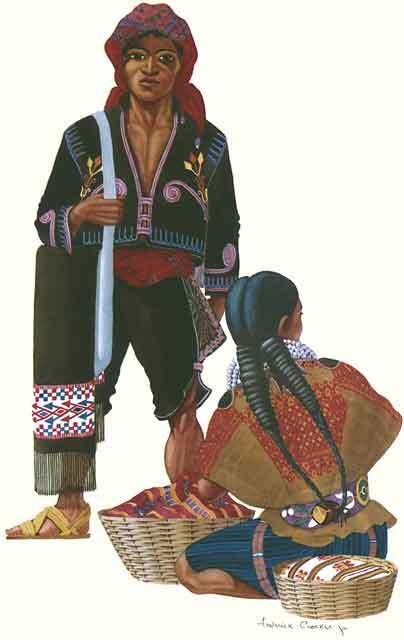 On examining his watercolors of indigenous costume it is impossible not to be amazed at the intricate detail that he depicted. His work of several years was exhibited in the entrance lobby of the first television station, Canal 3, in Guatemala. Some months after the opening of the station, fire destroyed the entire collection. One can imagine Pat’s feelings and admire his determination when he started all over again. After three years of labor the Frederick Crocker Junior Collection was exhibited in the Brooklyn Museum from 1943 to 1948, then taken to the Cotton Carnival Museum in Memphis, Tennessee, in 1948. These very successful exhibitions (at which none of the paintings were for sale) led to the lithograph reproduction in two folios of six designs each with explanatory notes printed by Byron Zadik S.A. of Guatemala City. These sets have now become rarities to be sought after. When the war came, Pat joined the U.S. Navy and served for three years in the Pacific, at sea off the coast of Japan when the destruction of Hiroshima and Nagasaki took place. After the war he returned to Guatemala and continued to record textiles and to produce paintings for sale to tourists to bring in some money when he needed it. But he told Dale Nichols, a fellow artist, that his love of detail made it impossible to put a saleable price that had any relation to the time it took to do them. He produced four large paintings of Indian dancers which were exhibited in the dining room of the Hotel Tzanjuyú, Panajachel, and later in the Hotel Antigua in Antigua. During these years Pat spent most of his time in Panajachel, where he constructed a small but elegant home in which he led an active social life. He became famous locally for his “Hat Parties.” Ed Crocker, Pat’s nephew, describes how he stumbled into one unannounced. It was an all-male party in which each guest wore headgear that was intended to identify someone well-known. He recognized a Napoleon, a Marie Antoinette with curls of blue ribbon, and a Lindbergh with flight helmet and goggles. At this stage Ed became embarrassed and left, no doubt to Pat’s relief. Pat was a frequent customer of the Hotel Tzanjuyú. One night after a prolonged visit in the bar he came out of the hotel and fell into a very deep ditch that had been recently constructed and whose existence he had temporarily forgotten. He lay in the ditch and shouted for help without avail. Eventually the night watchman came up, stared at him for a moment and said, “Silencio, por favor, señor Crocker, la gente quiere dormir,” and walked away. Pat spent the rest of the night in the ditch and was rescued the following morning when he was found to have a broken arm. In 1945, allegedly in the bar of the Hotel Palace in Guatemala City, Pat met the novelist Gore Vidal. They became friends and a year or so later Pat talked Gore into the purchase of the Casa el Carmen in Antigua. The price was $2,000. The church of El Carmen and the house had suffered severe damage during the great earthquake of 1773. 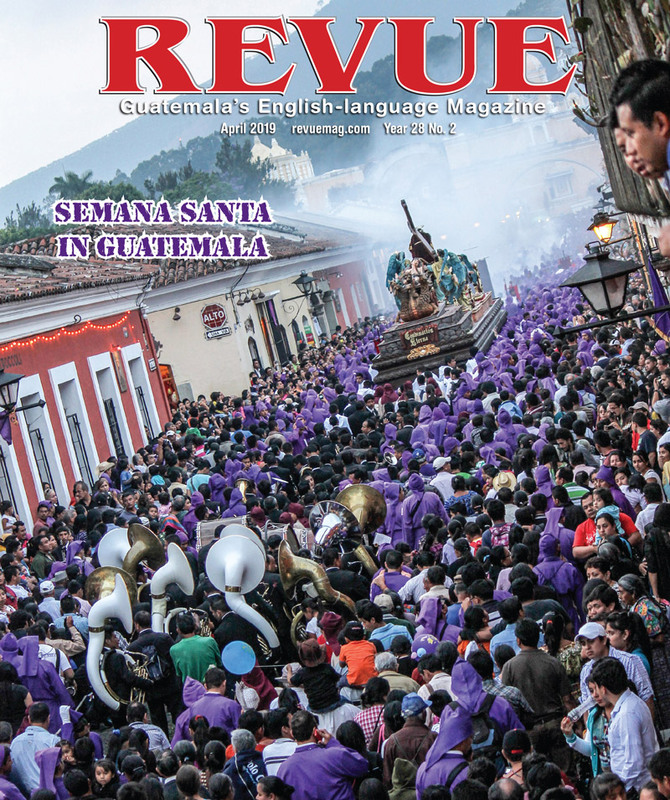 The earthquake precipitated the evacuation of Antigua, the then-capital of Guatemala, and its ultimate transfer to Nueva Guatemala de la Asunción, now Guatemala City. Pat began the slow process of restoration to convert a colonial ruin into an attractive, livable home with modern conveniences. During the years that followed, Gore and Pat did some interesting entertaining. Dorothy Parker, writer and poet, was a frequent visitor to the Antigua circle. Anais Nin was another visitor. At that time she was unburdening herself into her novel A Spy in the House of Love, finally published in 1954. Restoration proved to be a slow, almost endless process that was continuing during 1956 when Gore sold the house to Paul Glynn. Pat lived in the house during Paul’s absence in Persia on a diplomatic mission and continued the restoration process. This was to be the first of many houses he restored in the years that followed. However, at this time another influence entered Pat’s life. In 1956 the first season of the Tikal Project began. This project, under the direction of Edwin Shook, the archeologist, included the creation of the 576-square-kilometer Tikal National Park and studies of the flora and fauna of the area before the clearing of land for excavation began. Pat was contracted to lay out the paths and roadways with least destruction possible and also to design and build the Tikal Museum, dedicated in 1964 by Edwin Shook and J. Eric S. Thompson. Pat must have had a busy life commuting between Petén and Antigua. While still working on Paul Glynn’s house, he was contracted to restore a house merged into two for Louise Willauer Jackson and Helen Trick, wife of archeologist Aubrey Trick, which came to be know as the Jackson-Trick House or the Casa Double. He was also restoring the Casa del Pirámide, recently purchased by Herman Van Zonneveld, a Dutch shipping magnate, and his American wife Marion. Pat’s reputation as a capable architect and an interior designer of charm and inventiveness, sensitive to the Guatemala colonial style, brought him more and more clients. But the work was slow and painstaking. Renovation of the Casa Double, for example, begun in 1956, was not complete until 1962. Indeed, of the many houses in Antigua that Pat worked on, the owners, past and present, came to realize that improvement and preservation never comes to an end—there will always be new furniture to design, old furniture to restore, candelabras and fixtures to install, cupboards to change, doors and windows to replace, pictures to relocate and the continuous repair of plumbing and electricity and the maintenance of walls, exterior and interior—the war with “salitre”—that colonial Spanish architecture demands. Pat and Louise Jackson exchanged a lengthy correspondence during the reconstruction period. Pat mentions his continual shortage of money—for with few exceptions his clients sent little or nothing to get the work started and then only sufficient to cover expenses that had been incurred and for which Pat had sent a bill. There were times when he had to borrow from friends in Antigua who were not his clients, simply to meet his payroll. In 1959 he writes: “These last two weeks have found me either feeling homicidal or suicidal. Begging money is not my forte and I have been so embarrassed I want to crawl into a hole”—particularly when he was refused! The responsibilities in conducting the renovations in accordance with the wishes and budgets of his clients imposed an almost intolerable strain. In 1954 he was occupied with the restoration of six houses at the same time. In the early 1960s he wrote to Louise: “I am also having labor troubles. I am trying to get rid of some of the men who are being a nuisance—and a great many more who are being alright, but they have not been around long. The object is to reduce myself to a crew of about twenty trustworthy souls and keep them moving. I shall never again have ten houses going at once.” One can imagine the size of his work force and the challenges of management it posed. [At Tikal] Pat was contracted to lay out the paths and roadways with least destruction possible and also to design and build the Tikal Museum. 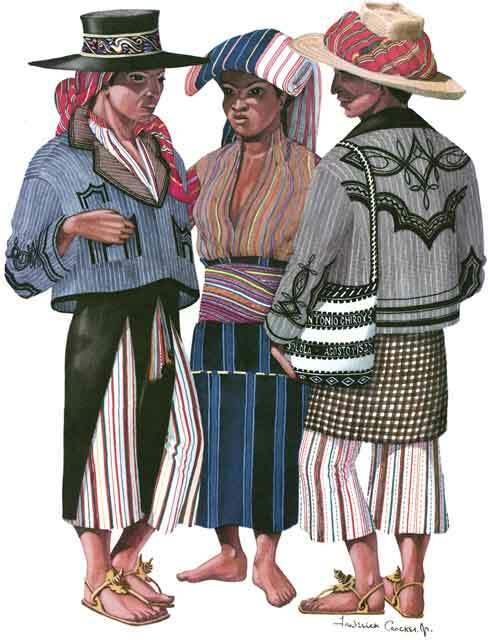 From the Casa el Carmen in 1954 to his death in 1972 Pat renovated over 20 houses in Antigua and several in Panajachel, at the same time continuing to produce his exquisite watercolors of costume and scenery. He was a familiar figure in Antigua as he walked from house to house supervising his work crews. He was a casual dresser, wearing an Indian shirt or coat and slacks with Mayan sandals and without a hat, and carried a bolsa típica slung over his shoulder in which he carried his materials for sketching and other essentials. 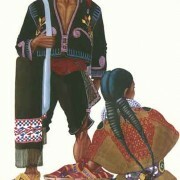 On examining his watercolors of indigenous costume it is impossible not to be amazed at the intricate detail that he depicted. His style of painting was unusual. Sitting on a low seat he placed the water-color paper on the floor or ground before him and, holding his brush about halfway along its length, rested his forearm against his knee. In this way he achieved the amazing degree of steadiness and control essential for the intricate patters he depicted. In 1972 Pat became seriously ill and retired to one of his favorite restorations, the Casa Double. His friend Louise allowed him use of the front bedroom and the opportunity to enjoy the patio on sunny days. Pat died there on December 8 and was buried on December 11 in the Municipal Cemetery, Antigua. 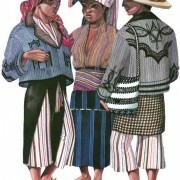 On the origins of costume, his lifelong avocation, Pat wrote: Guatemalan costumes, like all really fine and distinctive works in the realm of the arts can be appreciated by the initiate. But where should one begin in the background of anything as fundamental as clothing? If the predecessor of modern architecture was a cave or the lee of a great tree; (if the predecessor) of music, the song of the birds and the beating of clubs on hollow logs; if (that) of all mechanical devices, the rolling of blocks too large for purely human endeavor; if (that) of painting, the handprints on the walls of caves, then the beginning of clothing must have been the fig leaf. Thus stated Frederick Siddartha Crocker, whose lifelong artistic achievements preserved for all time aspects of life now disappearing rapidly—Tocsiksa’s concerns were well founded—and whose architectural achievements made possible a lifestyle that married successfully the dignity of Spanish colonial ruins with the contemporary insistence on comfort and convenience, a dexterous conjunction of art and architecture. information and assistance provided by the following (listed alphabetically): Edward Crocker, Henry DuFlon, Paul Glynn, David & Cynthia Jickling, Kenneth Veronda, Don Willever. Greetings. Out of curiousity I looked up Mr. Crocker’s name today. I have a print (one of several in the family) of his that my parents purchased when my father was working in Guatemala in the 50’s. It is a print of Santiago Atitlan. I had it framed a few years ago as it was getting damaged from being stored in a trunk for probably forty years. My parents are long gone. Anyhow, I was just wondering who the artist was and now I know. Thnak you for the info! I have a complete set of the first group of lithos, Tomo 1 which comprises Santiago Atitlan, Solola, San Martin Sacatepequez, San Antonio Aquascalientes, Coban and Todos Santos. We inherited these from my husband’s mother who was given them by a student. We are moving and would like to sell them. We would appreciate any suggestions and offers! I believe I have an orginial watercolor of Pat Crocker’s. hay dear, i have two prints of frederick crocker jr.
on the print there is information by Lito B. Zadik Y Co-guatemala C. A, and the name of the print is 3 San Martin Chile verde, and i have anotherone the name is 6 Todos Santos huehuetenango, C.A.. And its De una Acuarella de original. Maybe you can give me more information about these prints. I live in Holland and i got these from my uncle, i got these print over 40 years, and nou i wanna now what this is. As a small-time collector of tela tipica, an admirer of the Guatemalan people, and a lover of the land, the art holds a special place for me. mayor informacion. Vivo en Guatemala les agradeceria algun dato. Tiene que ir al Museo Ixchel en la ciudad de Guatemala (zona 6 – cerca de Universidad de Francisco Marroquin) para averiguar el valor y para obtenir mas informes. Trajes de Guatemala, Tomo 1 y Tomo 2. They have a hand made signature and date made by hand and the date says Feb 1 1955. I got them and at garage sale but the truth is that I got them just because the picture frames. When I was taking the pictures off my mom told me they were beautiful and that she was very certain they were very valuable…I only got three out of the frames and I even ripped one, not so much, just a tiny corner while taking it off the frame. So, What should I do. I was thinking maybe auction them on Ebay… Any ideas? I don’t even know how much are they worth. Does anyone know if Paul Glynn is still alive? He is my Godfather and I lost track of him. Daria, Paul Glynn passed away. 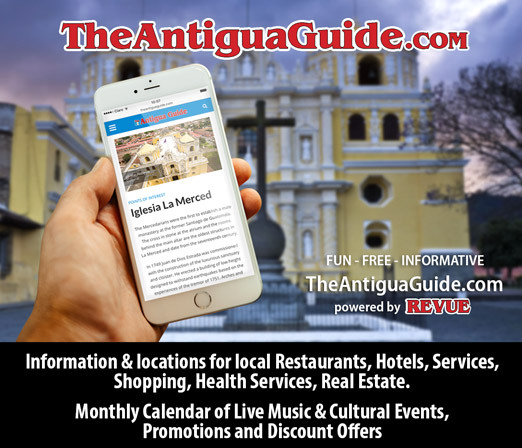 Anyone living in Antigua today, can give you more information. Cousins just sent me the link to 2009 re-print of Johnny Long’s 2003 Revue article that was published on occasion of a retrospective of Pat’s artistic and architectural accomplishments. It is good to see that Pat’s memory still lives. The Dorothy Parker referred to the article was not the literary DP, but a well-to-do and very erudite resident of Dallas, Texas. I met her in 1976 just after the earthquake. A few months subsequent she, Joya Hairs, Basis Hempstead and I organized a couple of shows and sales of textiles to benefit communities in the Highlands devastated by the event. One was a Nieman-Marcus (Dorothy was a close friend of Stanley Marcus) the other here in Santa Fe, at the opera house, where was a good friend of John Crosby, now deceased. Cousins in Kansas just sent me the link to 2009 re-print of Johnny Long’s 2003 Revue article that was published on the occasion of a retrospective of Pat’s artistic and architectural accomplishments. It is good to see that Pat’s memory still lives. The Dorothy Parker referred to the article was not the literary DP, but a well-to-do and very erudite resident of Dallas, Texas. I met her in 1976 just after the earthquake. A few months later she, Joya Hairs, Basis Hempstead and I organized a couple of shows and sales of textiles to benefit communities in the Highlands devastated by the ‘quake. One was at Nieman-Marcus (Dorothy was a close friend of Stanley Marcus) the other here in Santa Fe, at the opera house, where I knew the empresario John Crosby, now deceased. There were two editions of the Zadik lithos, one ca. 1954 the other in 1974. The early edition is the better of the two – better color on better paper. That edition is in plain folios. The later edition is in decorated folios showing thumbnails of the images on a brown background. The early prints are rarely seen, the later fairly often on eBay. I think it important to mention Larry Stuart. He was a herpetologist from Ann Arbor who worked in the Peten and had a house in Panajachel. He and his wife were close friends and neighbors of Pat. When Pat was dying in 1972 and had no money for doctor bills he sold the collection referred to in the article to Larry for $10,000. In 1979 I paid him a visit and over a gin and tonic I asked after the paintings. He went to a closet and pulled out an old toilet seat box; within were all thirty-three paintings along with Pat’s ethnographic notes and written details in the form of transparent overlays for each image. On thing led to another and I walked out Larry’s house with the collection which he very generously sold for the amount, without interest, that he had paid for them. The next evening his daughter, Sandy, dropped by the Shook’s gatehouse where I was staying and delivered a large package that contained hundreds of Pat’s sketches and “cartoons,” or studies, of traje. All are now conserved and remain as a collection. One should not forget John Armstrong. He was the owner of a finca that grew tea, not coffee (see http://crockerltd.net/adobe_trudyblom.htm). John was executor of Pat’s estate and on Pat’s instructions burned most of his correspondence with Gore Vidal, Anais Nin, Noel Coward, etc. A few letters remain, along with The City and the Pillar edition inscribed to Pat from Gore and the last sheet of Gore’s typescript with Pat’s penciled edits. Those I also have conserved. Cousins in Kansas just sent the link to a 2009 re-print of Johnny Long’s 2003 Revue article that was published on the occasion of a retrospective of Pat’s artistic and architectural accomplishments. It is good to see that Pat’s memory still lives. 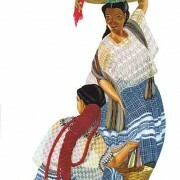 The six lithographs from folio 1 were sold by Zadik in Guatemala City at least as early as 1952. They were bought already framed and were hanging on the walls of our house in GC in that year. It appears that they were sold in the frames by Zadik, as each framed print bears a Zadik label on the back. They came to the US in December 1952 when my family moved and have remained in the family since then, still in the original frames. They are much loved mementos of our life in Guatemala. I was too young to have known the artist (only 12 in 1952), though I spent many magical days in Antigua throughout my childhood. Wish I could have attended one of Pat’s hat parties! Lots of news on the Pat front!